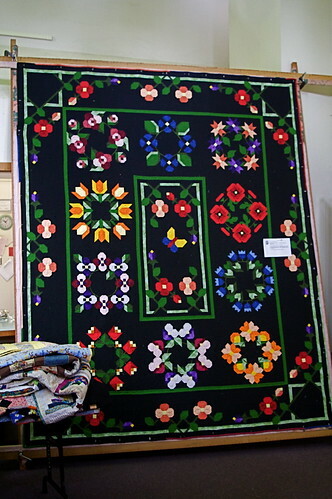 The quilt show is done! And it was an amazing success! 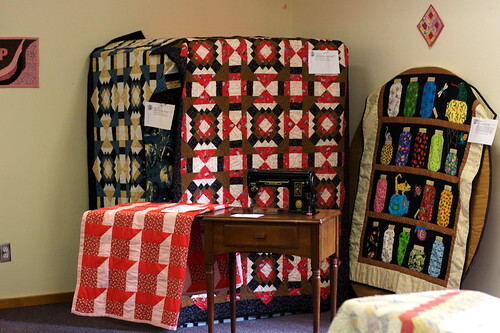 We had about 40 larger quilts and a number of smaller quilts - minis and doll quilts. If you have been my partner in one of the various swaps yours might have been on display so you can hop on over to my flickr photostream and check out the rest of the pictures. Now that the show is done I am planning to get busy in the sewing room an many and varied projects! First, I do have to get the house back in order after having all the kids and grandkids here for a few days. I need to work on a couple of round robins first and then on to an auction quilt, graduation quilt, baby quilt and a wedding quilt. I hope to have pictures and posts at least several times a week!